Y'all, I'm so glad I finally read this book. I started reading an arc back before it even released but put it down at some point because I was getting situated in college. I was trying to figure out how to juggle reading and blogging with having a social life and studying. It took me a year and a half to finally read this book. But I'm so happy I did. Everything was on point in this book. From the characters, the mystery, the setting....all of it was fantastic. I'm already planning to visit the town this book is set in while I'm studying abroad in Europe because this setting intrigued me so much. Is it even possible to love Thomas Cresswell as much as I do? I loved his character in the first book but after this second book? I'm pretty much into obsession at this point. Just...everything about him is great. Sure, some of the things he did in this book annoyed me a little bit at first but that was because I was reading through Audrey Rose's perspective. Looking at his actions as a whole, though, just made me love him even more. Audrey Rose was also amazing. I loved her in the first book and that continued into this one. Her character development has already come so far and I'm just super excited to see where it goes in the next book. The fact that she maintained her sass and amazing personality was compounded with a level of badassery greater than the first book, the fact that she was struggling through trauma, and her extra level of confidence. I just...I can't wait to see what she does next. The mystery was definitely interesting. I'm excited to reread this book in the future just to see if I can catch extra foreshadowing details like I did when rereading Stalking Jack the Ripper. This story took a turn in a way I didn't expect but I loved it. This sequel definitely strayed away from doing the same ending as the first book and I'm really glad. I will say that at times I felt like it was moving a bit slow and I started drifting, but other than that I have no qualms with this book. I loved the characters, the plot and mystery was great, and I always do enjoy the forensic aspects. 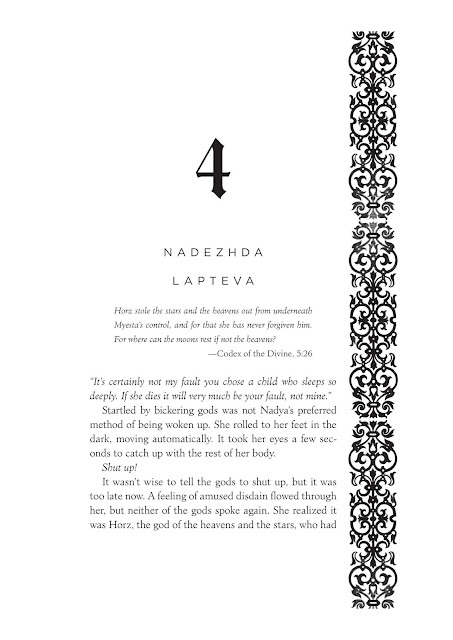 I cannot wait to read the third book next month. I've heard such great things about it from fans of this series and I am just thrilled that I have two more books to spend with these characters and mysteries. Beacon Book Box: use the code BOOKSHELF5 for a discount on your order or subscription! Hello all! 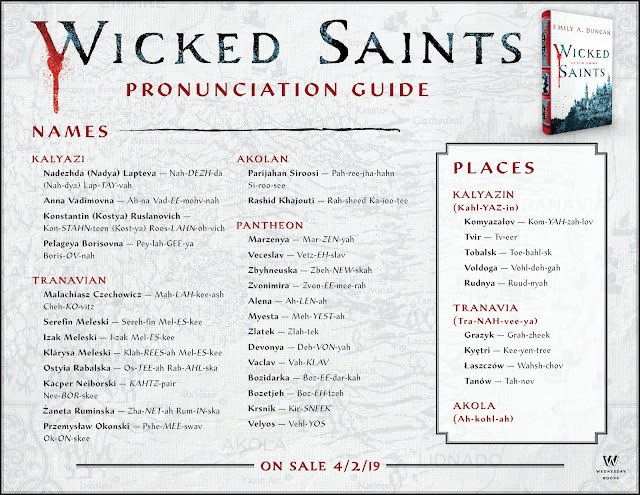 I'm very excited to be welcoming you to my leg of the blog tour for Wicked Saints by Emily A Duncan. Here's all the super fun stuff you can expect on this stop: information about the book, my review, links to preorder this book, information about the author, advance praise, a pronunciation guide, and an exclusive excerpt! EMILY A. DUNCAN works as a youth services librarian. She received a Master's degree in library science from Kent State University, which mostly taught her how to find obscure Slavic folklore texts through interlibrary loan systems. 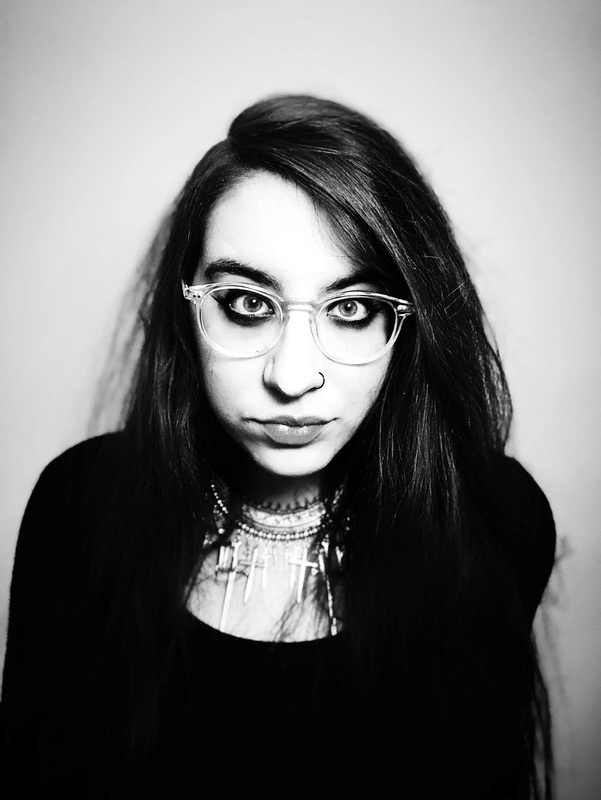 When not reading or writing, she enjoys playing copious amounts of video games and dungeons and dragons. Wicked Saints is her first book. She lives in Ohio. Check out all the different retailers HERE! I first want to start by saying a huge thank you to the publisher for sending me an e-arc of this book to read and review. As one of my most anticipated releases of the year, I was so excited for this chance. And let me tell you guys, I think a lot of you will really love this book! 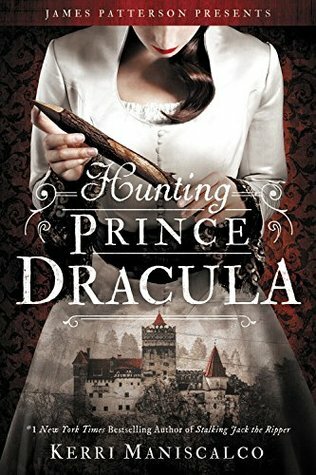 The think I liked most about this book was the characters, specifically the main character Nadezhda. She's so confident, badass, and sticks to true to herself and her views. Even with all that she goes through, she doesn't change her values despite so many people around her trying to get her to do so. Malachiasz was such an interesting character to read about. He's most definitely not the hero but I couldn't help the soft spot that opened up for him as I read this book. Serefin...oh my drunk baby Serefin. I feel like both of these characters are so misunderstood at the beginning. I feel like we'll definitely get to explore the many complex layers to each of them as this series goes on. I'd also like to discuss the world real quick. Honestly this seems like such an interesting world that I'm excited to explore more of in the next book. I loved getting the snow and seeing how cold aspects of this world played into the story. Most fantasy books--at least that I've read--focus more on Spring, Summer, and Fall seasons, so I really enjoyed that different feel to it. Also, the magic was something I hadn't seen before. 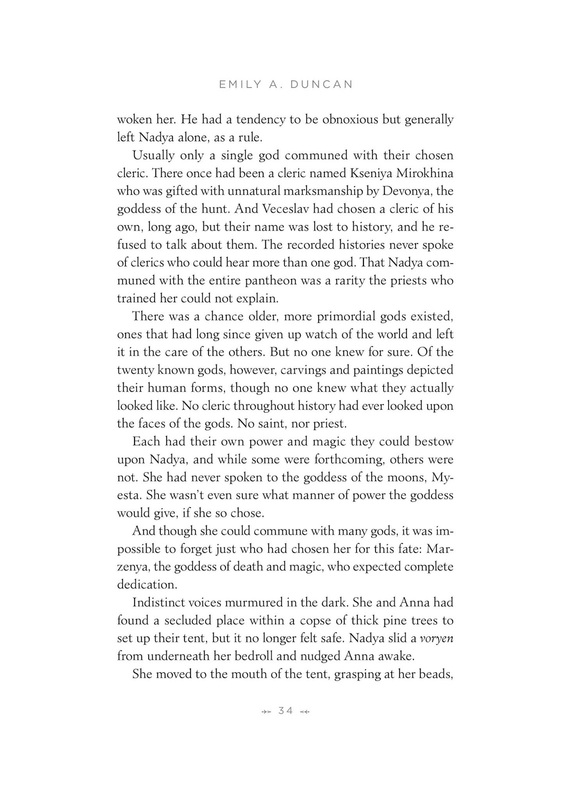 We had two types of magic that both used different sources and acted in different ways. The fact that one was divine while the other relied on using blood as a source was so unique to me. Usually fantasies pull on elemental magic and I enjoyed seeing the change here. And holy crap guys...the last half of this book took what the first half set up and ran sprinted with it. I should have been sleeping but instead I was desperately reading because I had to know how everything played together. Honestly, the ending was one endless mind-f that I still think about. How this plot ended up being laid out was pretty interesting and I hope to see more about how parts of this story play into the next one. I will say that the first half of the book was a bit slow for me but the second half more than made up for it. 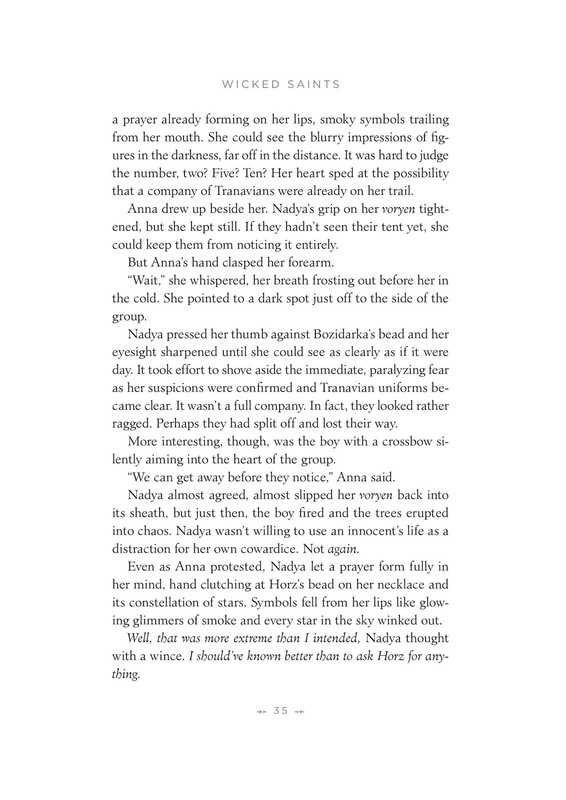 Emily has such a beautiful writing style and I loved how dark and complex she made these characters. I definitely think that this is a book many people with love and I'm excited to see everyone's reactions to it. More importantly, I'm interested to see what happens next. Another Wednesday is upon us! This week's Top 5 Wednesday prompt is all about those books you thought you were going to hate but ended up loving. 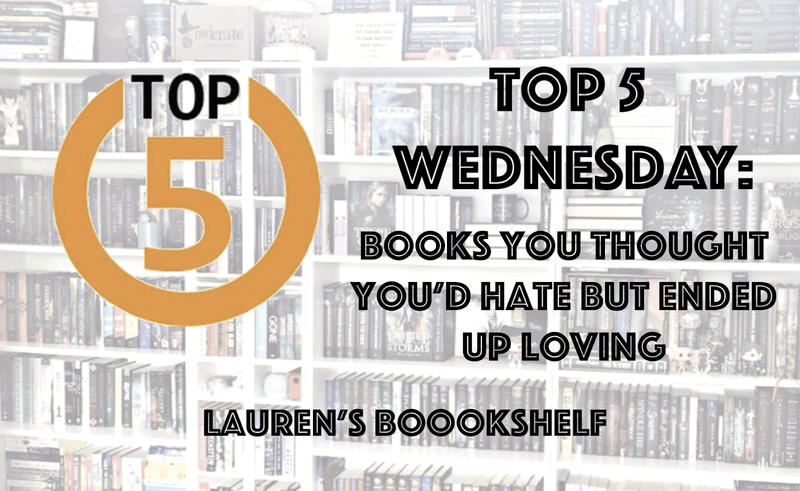 Since I don't really read books that I think I'm going to hate, I'm going to be talking about some books that I was apprehensive or nervous going into--whether it be because it was outside of my genre, the hype was large, or I'd heard mixed things--but ended up loving! 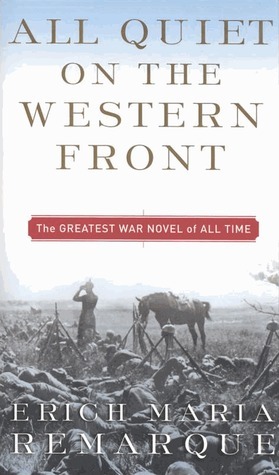 So first we have All Quiet on the Western Front by Erich Maria Remarque. This is a book focused around World War I that I had to read for a class my freshman year of college. I already wasn't looking forward to it at all because, really, who likes summer homework? Plus, it was outside of the genres I usually read. However, I ended up actually really liking it--I even cried a few times. It's one of the few books that I've kept from freshman year just from the sheer amount of feels I had while reading it. 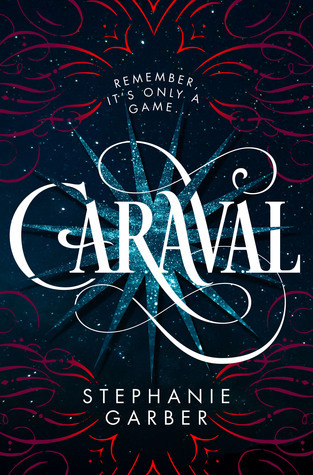 Next I chose Caraval by Stephanie Garber. I didn't go into this book thinking I would hate it, but I wasn't sure if I was going to love it as much as the hype suggested. When I finally read it, I ended up being blown away by the brilliance of it and how the story wove together. While this series isn't at the top of my favorites list, I still really enjoy it and I can't wait to read the final book in May! 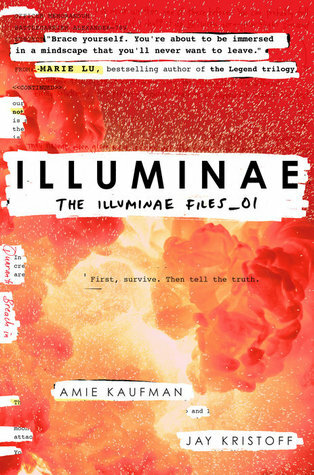 Next I chose Illuminae by Amie Kaufman and Jay Kristoff. Going along with the same thing as Caraval, I didn't expect to hate this book but I was a tad apprehensive going in because I didn't usually read science fiction and the format of the book was scary at the time. However, I read through it so quickly and it became one of my favorite books of all time! I ended up reading it three times that spring and I still think about it all the time. 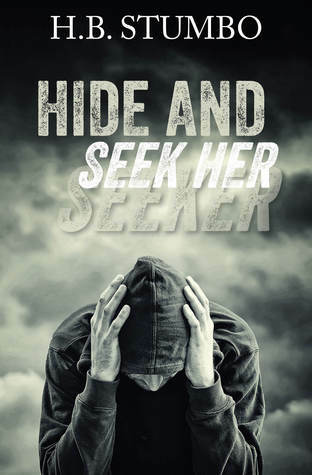 Up next I decided to go with Hide and Seek Her by H.B. Stumbo. Yes, I was excited to read this book when I got it, but up until that point, I hadn't read much outside of fantasy and paranormal books. Of course, if you've been following this blog or my instagram for a while, I talk about this book a lot. It's one of my favorites and I cannot wait to reread it this year in preparation for the final books! 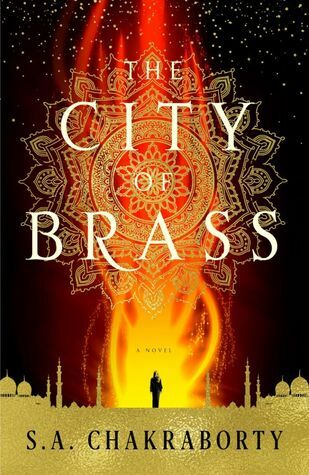 And, lastly, we have The City of Brass by S.A. Chakraborty. I definitely had apprehensions going into this book. So many people I knew absolutely loved it and would hype it up all of the time. It was also an adult fantasy and a lot of the adult fantasies I'd read before had let me down. Of course, none of that mattered since I fell absolutely in love with this trilogy! I think about it on the daily and I already am super excited to reread the books in preparation for the final book next winter! I was super excited to read this book when I got a copy of it. I've been reading a lot of very high fantasy, a lot of dense books for school, and just some books that have been disappointing. I was hoping that this would be a bit of a palate cleanser between books. This book was so fun and lighthearted, yet tackles current issues in a way that makes them accessible to younger readers. I found that I couldn't put the book down by the time I was a little over halfway. I ended up reading most of this in a day and it was so fun! The main thing I enjoyed about this book was just how fun it was and how quick of a read it was for me. I liked reading about Thomas and his adventures. He was such a good character and his interactions with those around him were spot on. My favorite thing, I think, about this book was Thomas's friendship with his best friend, Enrique. Just the unrequited excited friendship that these two share isn't something that we typically read about for older male characters. It was nice to see that younger readers are getting a good model. The magic was also interesting. I would have liked to explore it a little bit better, but again, as this is a middle grade it made sense to not overload the book with complex descriptions of how the magic works. I honestly would love to have the magic that Thomas has. There's a lot of different aspects of it that were really fun to explore. The plot was pretty good. 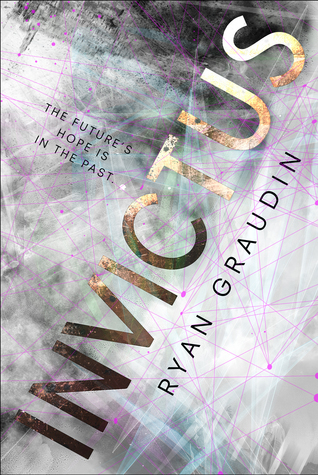 I was able to read the book pretty quickly because the plot moved at a relatively fast pace which I enjoyed. I am excited to see where things go in the next book and how little things that were mentioned in this book play into the next few books. Overall, this was a fun read and I had such a good time experiencing this story. I felt a wave of nostalgia the entire time I was reading this book for middle grade books and I'm glad that I enjoyed this one as much as I did. I'm super excited to see what happens in the next book, though I'm a bit sad I have to wait almost a year for it! 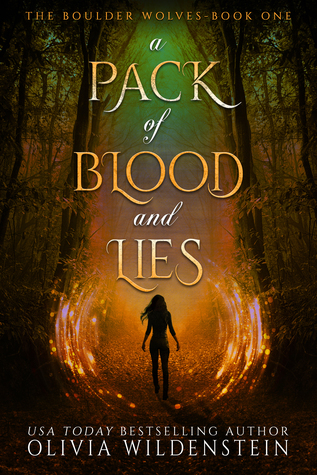 I highly recommend this book to fantasy lovers everywhere! I was very excited about this book when I first heard about it. I hadn't really read many mystery books before but this one sounded right up my alley. I do have to say, I didn't get quite what I was expecting but I still enjoyed this book nonetheless. I'll start off with the two issues I had that made me drop my rating a star before I move into why I liked this book. The first of these issues is that the beginning was a bit slow. It was pretty interesting, but compared to the rest of the book, the beginning seemed a lot slower. The other issue is that I didn't connect to the characters whatsoever. This could be attributed to the fact that the main character doesn't remember anything before waking up in this time loop and has to learn about himself as the time goes on. However, even by the end of the book I wasn't attached to any of the characters. It's at the point where I don't even care what happens after the conclusion of this story. However, what kept me engaged and had me binge-reading this book in almost one sitting was the mystery. I was so curious and wanted to see how everything turned out. It was a big huge puzzle that I was aching to uncover. I will say that a lot of the time I thought I had finally figured it out only for a new piece of the puzzle to be thrown in. By the end of the book, I was completely caught off guard. That is what was so good about this book. The characters were lacking in connection even if they were interesting but it didn't matter because the plot moved so well. It was brilliant when I finally saw how everything tied in together. The suspense is addicting, the curiosity almost overwhelming, and the conclusion was magnificent. Overall, I do recommend this book if you like mystery novels but don't go into it expecting to fall in the love with the characters. Go into it expecting to be played at every turn. Hey all! We're back with another Top 5 Wednesday and I'm super excited about this month's prompt: spring reads. Today is the first day of spring and, while it's cold and rainy where I live, I can only hope that the weather soon looks up! I cannot wait to sit outside and read, take walks to the beach, and just not be cold all the time. 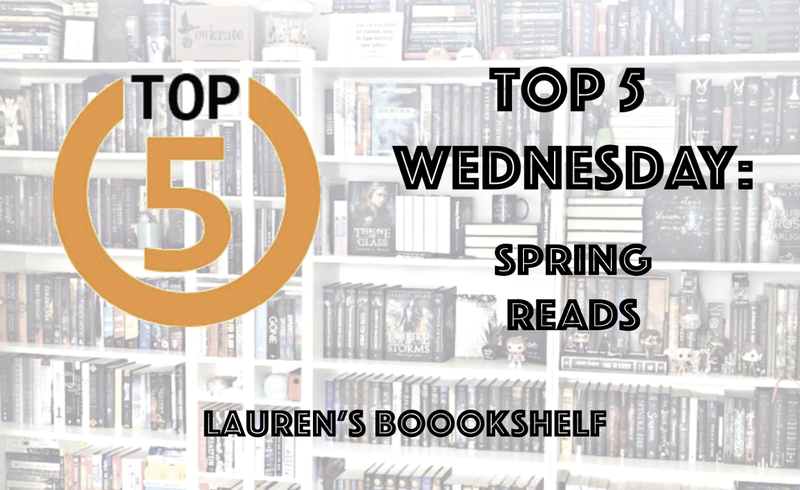 This week's prompt could be interpreted in many different ways but I decided to talk about the top 5 books that I want to read this spring! I have so many TBR books and books that I want to reread, but for now I'm just going to stick with the books that I haven't read yet! Being at college, my choices are limited but the books I do have with me are books that make up my immediate TBR and all of these choices today are from those! I did cheat a little bit and included books of the same series as one, but we'll just not talk about that! 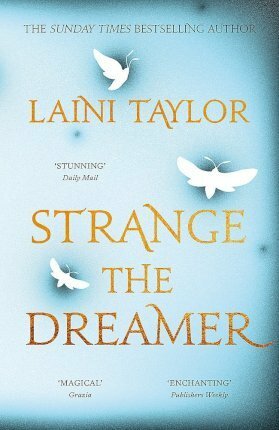 I have had Strange the Dreamer on my TBR since it came out. I was lucky enough to find a copy of the UK first edition with sprayed edges and I know that a book this beautiful has to have a beautiful story. A lot of my friends on bookstagram absolutely love this duology and I figured it's high time that I read it! I finished Lord of Shadows in February and it was a bit of a let down but also a punch to the heart. Besides my packed monthly TBRs lately, I think another reason I haven't read this book yet is because I'm scared of what's going to happen to all of the characters I love. I have had HPD for almost two years now and EFH for almost a year and I haven't read either of them yet. The shame! I absolutely loved the first book in the series and since the final book is coming out in the fall, I know I want to be prepared for it. I just can't wait to revisit these characters and the story that I love so much! Words cannot express how excited I am for Kingsbane to release in May. 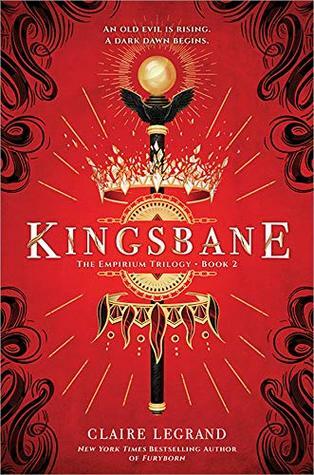 I loved Furyborn and I've heard that Kingsbane is even better so I cannot wait to get my hands on a copy! I'm hoping to get an arc of it for my personal collection but whether that happens before or after release date is up in the air. I just know my heart is going to be ripped out by this book but I am so excited for it nonetheless. I have had an arc of this book since May of 2017...almost two years...and I still haven't read it. I've brought it with me to college every semester with plans to read it but somehow it keeps getting pushed back. This book sounds like one that I'm going to enjoy but I think I've built up so much internal hype and expectation for it over the years that I'm subconsciously nervous that it won't live up to what I'm expecting. Still, it's time for me to finally read this since it sounds so amazing! Hey guys! I've been MIA for a while now and I feel bad about not posting the last week and a half. Honestly, I just haven't been thinking about blogging. Usually I have my posts planned out when the month begins but I didn't do that for some reason this month and it has lead to me being incredibly lazy when it comes to social media this past week and a half. It's not only my blog, but I also haven't been updating my bookstagram like I had wanted to. Hopefully I'll get back into the swing of things when I get back to college this weekend. I will say that a lot has been going on in the past week and a half. I had a midterm and a lot of homework that was due before spring break began. I spent most of last Friday traveling home. I met up with a friend on the train into Chicago and we ended up getting lunch at a mediterranean place (that I'm not obsessed with) while we waited for our Amtraks. Mine ended up being delayed almost four hours and I was so glad I had switched to an earlier one on a different line. Then I was visiting with my dad and his side of the family for a few days where I didn't get any reading or blogging done. We watched a couple movies I'd been wanting to see, I saw my grandma, we went out to dinner, etc. We ended up seeing Captain Marvel which was so freaking good! On Monday I was home and started the task of packing up all of my books and belongings so that my sister can move into my room. 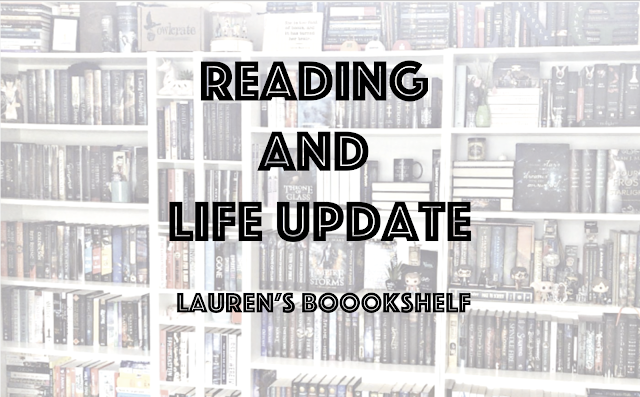 It's been a sad process, if I'm being honest, because I love displaying my books but I'm coming to terms with the idea of putting them in storage. What makes it easier is that I'll have more access to them when I'm at college most of the year as they're going in storage in the town I study in. I'll definitely be visiting them a lot next year when I want to exchange books. Other than that, I had a lot of professors assign things over spring break. I have already finished reading a book and watching the film adaption but I still need to write two papers and make progress in another book. Not to mention I'm currently trying to read books for myself and season 3 of Queer Eye just came out! I love that show and it's calling for me to binge it. I do have some plans today. I'm going to work on outlining my paper and reading a bit more but then I'm going around town with my best friend, taking my niece to get a toy, and then my family is making homemade pasta and chicken piccata tonight. As my last day in town, I'm trying to make the most of it! I'm currently reading five books, according to Goodreads, but two of those are textbooks over the course of the semester so I'm not going to discuss them right now. The three books I'm reading are interesting but I'm not feeling the urge to pick them up as much as I'd like. 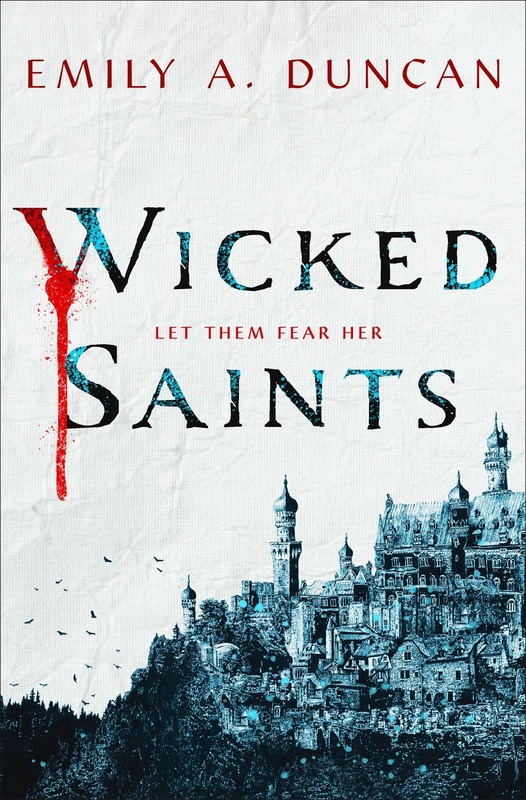 The first of these is Wicked Saints by Emily A. Duncan. I was super excited to get an early copy of this book and I'm sad that it hasn't lived up to my expectations so far. I'm a little over halfway through and I'm bored. It feels like nothing has happened to me except for three scenes or so. I haven't read it in a few days and I actually have no desire to continue, even though I have to so that I can write a complete review. 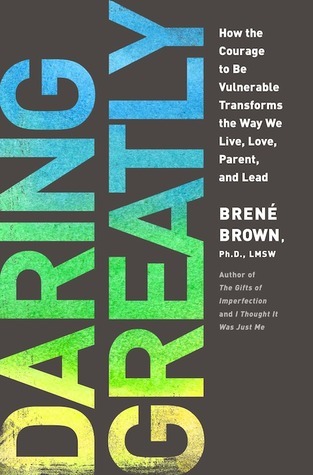 The next is Daring Greatly by Brené Brown. This is one that I'm reading for a class but since I need to finish it within the next week or so, I figured I would discuss it. It's kind of an inspirational book about allowing ourselves to be vulnerable. I've only gotten through the introduction thus far as I plan on taking it a chapter a day so that I can take thorough notes and not overwhelm myself. 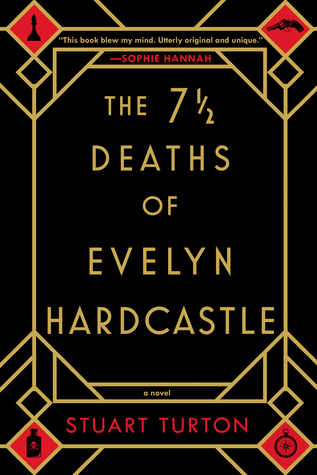 The last book I'm currently reading is The 7 1/2 Deaths of Evelyn Hardcastle by Stuart Turton which I'm buddy reading with Itske from @acourtofbooksandfeelings on Instagram. We both were talking about books we have on our TBRs and we realized we both had this one and wanted to read it, so we set up a buddy read! I'm enjoying it so far and I hope that it picks up a lot more soon. 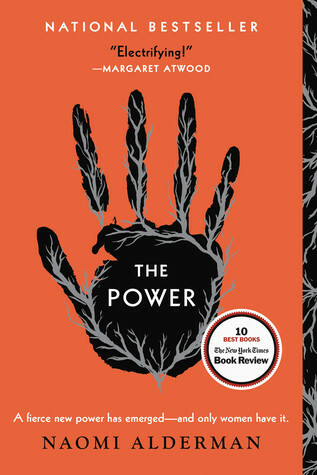 I think it definitely has the potential to be dark and full of twists so I hope that it really lives up to the reviews. 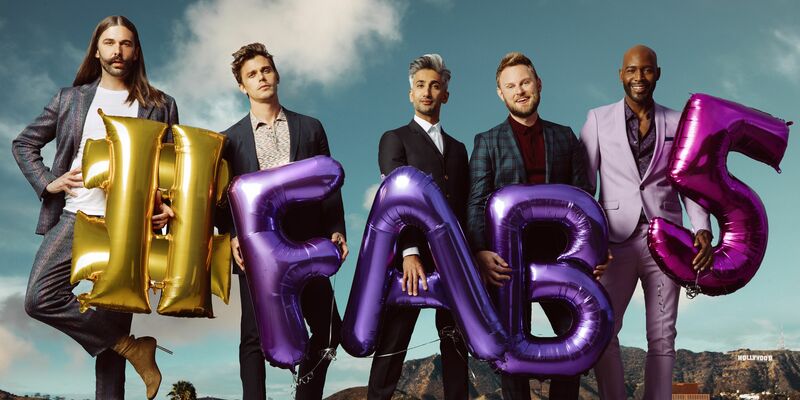 I just started watching Queer Eye season 3. I only watched one episode today but I'm already super in love with it. I just love these boys and this show never fails to make me tear up. I cannot wait to continue watching, though I think I'm going to try and watch it slowly so that I have less time to wait for the next season. 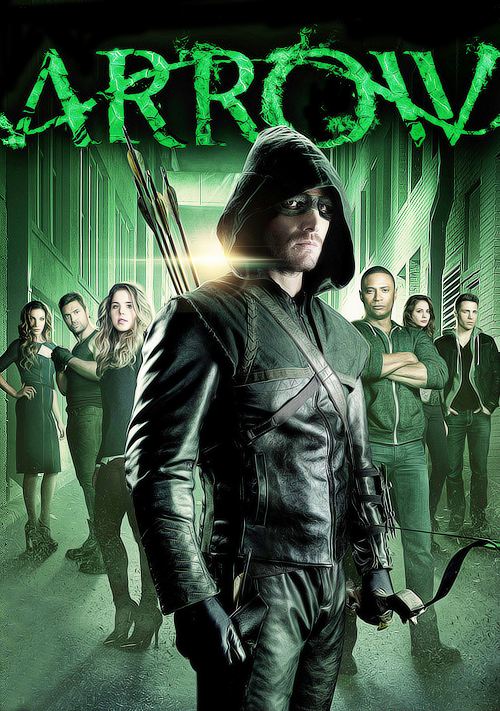 I'm also rewatching Arrow. I'm currently about halfway through season 2 and we're approaching where I stopped watching the first time all those years ago. I do enjoy this show but the past few episodes I've found a bit boring at times. Still, I'm excited to see where things go now that I can't really remember what all happens. 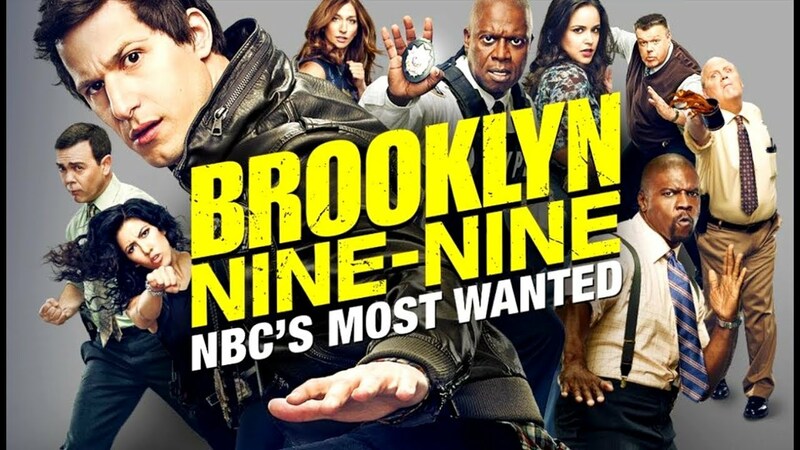 And, of course, I'm following along with Brooklyn Nine-Nine as it premieres in the sixth season. I love this show and binge-watched it when I discovered it and I always get so excited to watch a new episode every week. This show has always been relevant and there's been even more discussion about important topics this season. It's been incredible to watch this show grow with the times. I also just recently finished watching all of the complete seasons of Hawaii Five-0. Because they don't have all of the current episodes On Demand, I think I'm going to wait until this season is finished so that I can get a free trial to CBS All Access and binge it then. But I love the show and I like the new characters a lot more than I thought I would when Kono and Chin left. 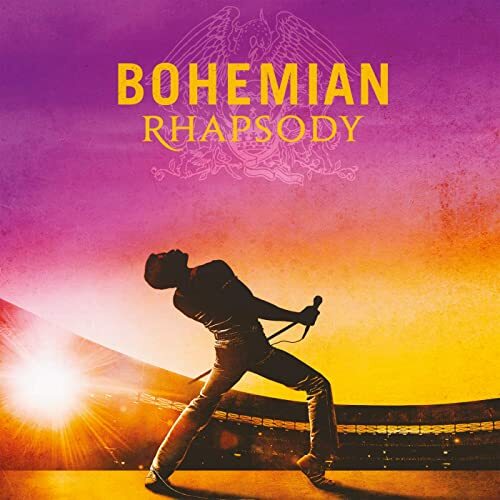 I watched Bohemian Rhapsody a week ago and I've been listening to the soundtrack nonstop as I pack up my room this week. I even listened to it when I was getting a filling, though that was just pure torture because I couldn't sing along. There's just something so beautiful and addicting about the music. 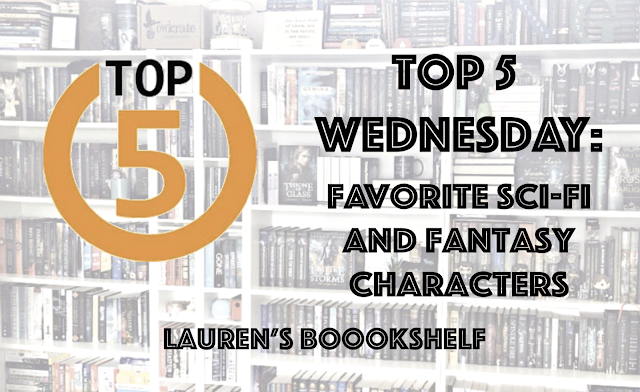 It's Wednesday guys which means it's time for another Top 5 Wednesday! This week's prompt is all about our favorite science fiction and fantasy characters. Now, this is a bit tough to narrow down because I pretty much read fantasy exclusively but I was able to polish my list. 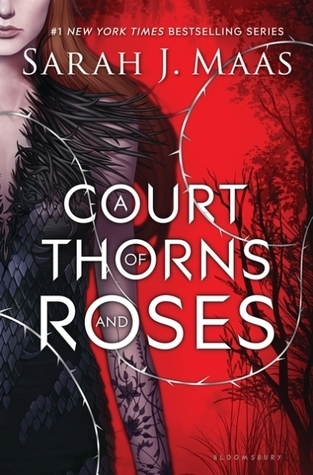 To make it fair, I only decided to include one Sarah J. Maas character from either of her series because otherwise this list would have just been a ranking of my favorite Throne of Glass/ACOTAR characters. Without further ado, let's go ahead and dive in! 1. Aelin Ashryver Galathynius from the Throne of Glass series by Sarah J. Maas. 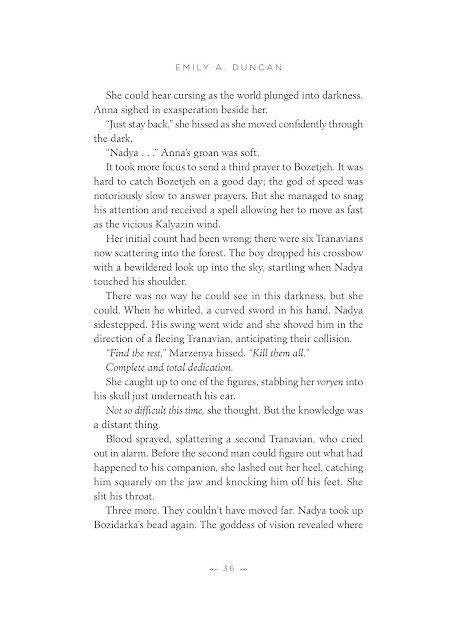 Without getting into spoilers, I just love Aelin a lot. 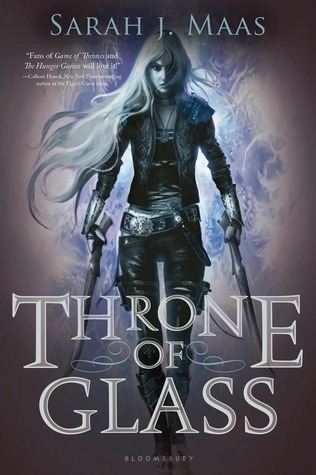 I found this series at a very tough time in my life and not only did it help me get back into reading when I needed it the most, but I also grew with Aelin. Reading these books as they came out and seeing her growth at the same time I myself was changing was amazing. Overall, I just love how badass she is, how she cares so much for everyone around her, and how unapologetic she is for being herself. 2. Feyre from the A Court of Thorns and Roses series by Sarah J. Maas. Not only do I relate to Feyre a lot, but I just loved following her journey in this series and see how she changes. She starts off strong and just turns into a complete badass. She's funny and flawed and I love her for it. 3. 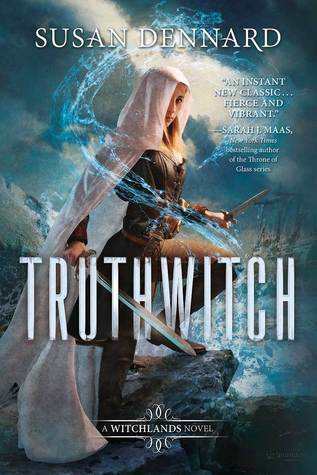 Safiya from the Witchlands series by Susan Dennard. From the moment I first read a scene with her in it I knew that I loved her. She's flawed and makes a lot of mistakes but her heart is pure and her sass is even better. I've loved seeing her journey throughout these books and seeing how she's grown as a person. I cannot wait to see where she ends up. 4. 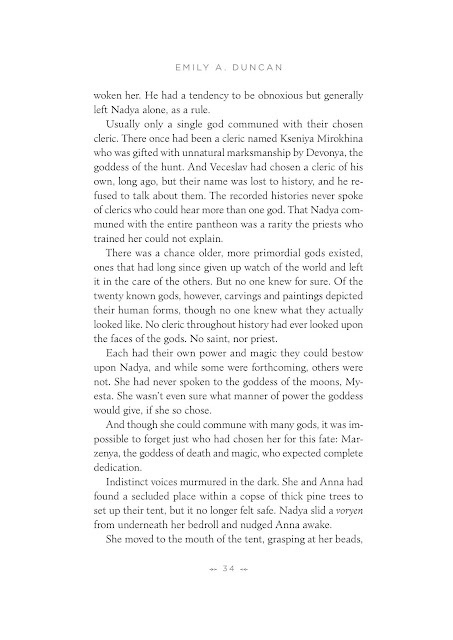 Nahri from Daevabad trilogy by S.A. Chakraborty. This series is a new recent obsession of mine after I read both of the books that are out in February. I already want to do a reread and I only finished them a couple weeks ago. Either way, these books are addicting and a big part of that is because of Nahri. She's in a very tough situation but she still manages to keep going and work for what is right. Not only that, but she's a badass in her own way. 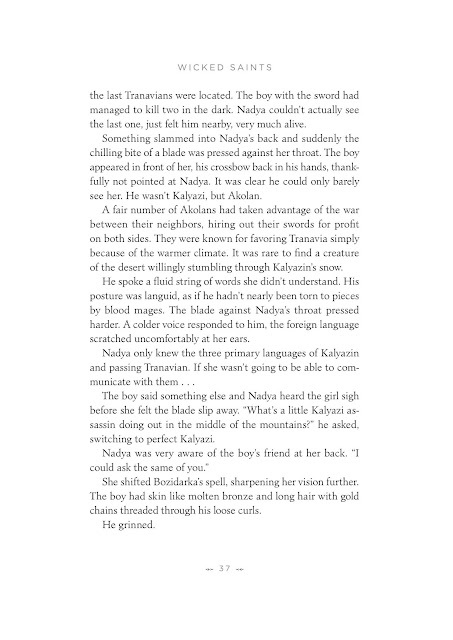 Sure, she probably couldn't be able to take on Aelin in the fighting ring, but she's got so much more than that. 5. 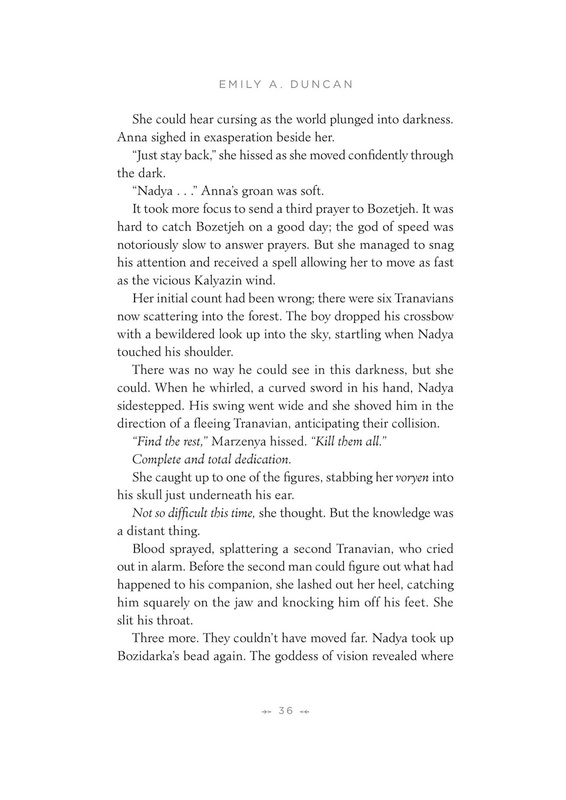 Katy Grant from the Illuminae Files by Amie Kaufman and Jay Kristoff. Katy is another different type of badass. 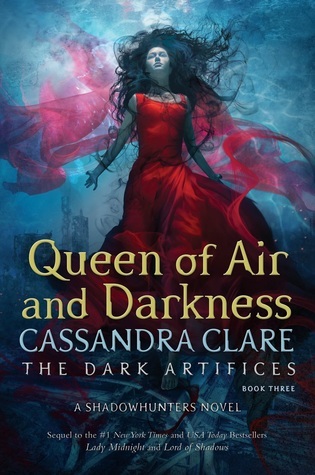 From the moment I read the first book in this series I knew that I loved her character and that was only added onto the farther into the series I went. She's willing to sacrifice everything to save the ones she cares about and she's struggling to help others at every turn. I just wish I could get more of her character but, alas, the series has ended. Okay, so I got more books that I expected this month. Like...a lot more. But it's okay because I'm either excited to read them or they were ones I had to pick up for my classes this semester. 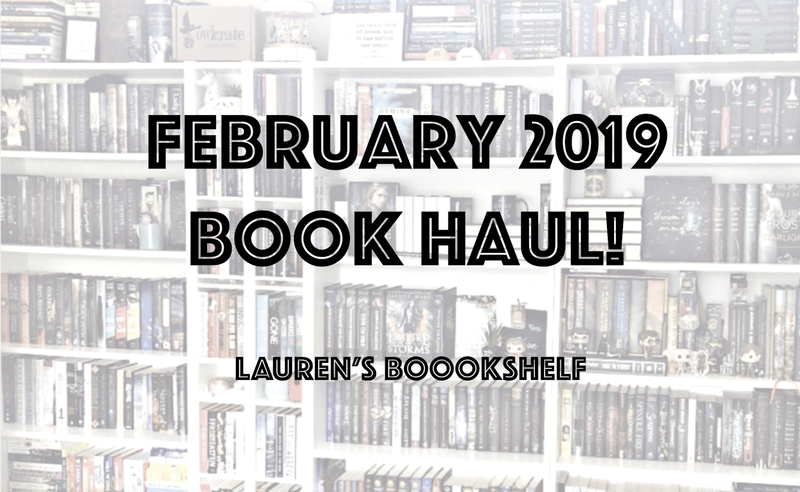 In total, I got eleven books in February but I'm hoping that number goes down in March. I think it will since I'm not planning on getting any March releases and I just have a couple school books to get. Let's just dive straight in! The first two books I got were from the January Beacon Book Box which arrived a little bit into February. 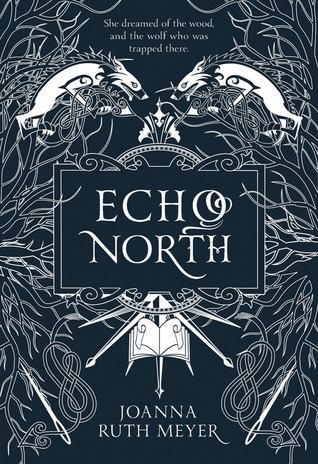 The first book was an advanced copy of A Pack of Blood and Lies by Olivia Wildenstein and the second was Echo North by Joanna Ruth Meyer. I've heard good things about these books from people who've read them and they definitely sound like books 13 year old me would love. 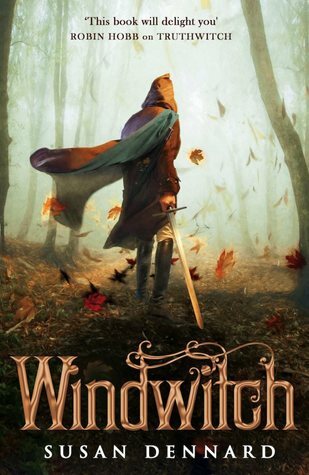 The next book I got was a UK hardcover of Windwitch by Susan Dennard. I started reading the Witchlands series a couple months ago and I fell in love. I'd gotten a UK hardcover of the first book in a subscription box and I realized that I wanted my editions to match, so I scoured the internet for someone who was selling the out-of-print hardcover of Windwitch for a reasonable price. Luckily, I found one and it came in very good condition! It's so beautiful on my shelf, too. 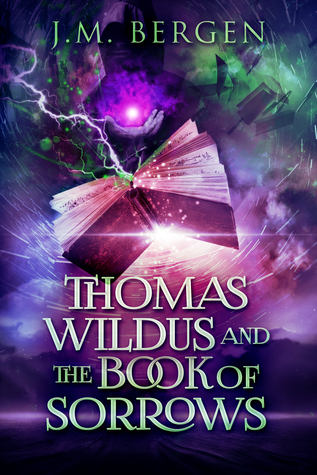 Then I was sent a copy of Thomas Wildus and the Book of Sorrows by J.M. Bergen by Book Publicity Services. This is a middle grade novel that I wasn't sure about but then I read the synopsis and figured that it was right up my alley. It deals with fantasy and bookshops and so much more. I'll be reading and reviewing this book in March and I'm super excited! 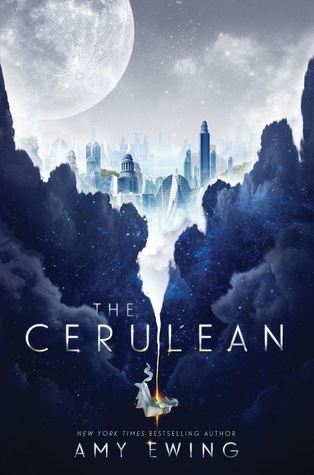 The next book I got was The Cerulean by Amy Ewing from the February Beacon Book Box. I've heard a lot of people talking about this book and it was on my radar for the past few months so I'm pretty excited to read it! I'm not quite sure what it's about but the cover is definitely gorgeous. 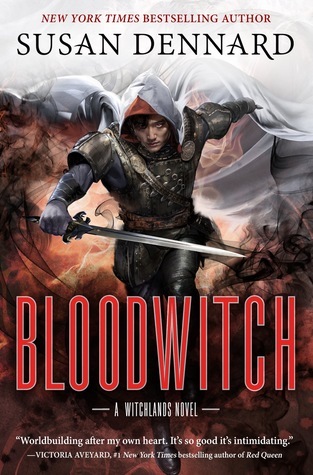 Next, I received one of my preorders of Bloodwitch by Susan Dennard that I ordered from the Good Choice Reading virtual signing. I was super excited for this because I absolutely loved Bloodwitch when I read the arc and I really wanted a signed book from Susan. Plus, there was a gorgeous art print and a set of pins that were thrown in with our orders that I was not expecting but absolutely love! The next book I have was a spur-of-the-moment buy, which I've been trying to avoid lately but couldn't help myself on this one. 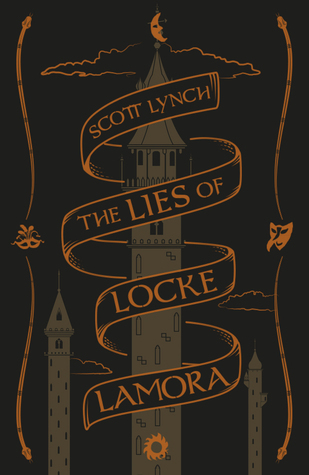 It's the 10th anniversary edition of The Lies of Locke Lamora by Scott Lynch. Not only have I heard many people raving about this series over the past few years but I saw a little quote snippet and knew that I had to read it! This edition was actually one of the cheapest I found and it's so gorgeous. 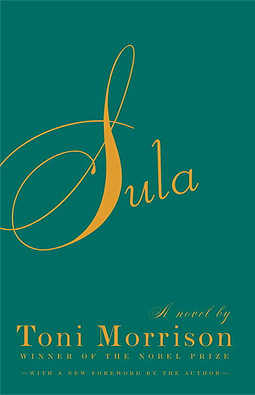 Then I picked up Sula by Toni Morrison and this was for my Women Writing Women literature class. We're currently reading it and it's interesting and definitely not something I'd usually read. There's been some...interesting scenes in the book so far and I definitely appreciate Toni Morrison's creativity for being able to write something so different. 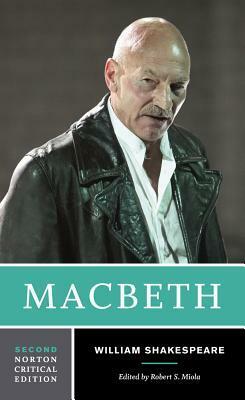 I also picked up a copy of Macbeth for my English Literature course. I actually read this for the first time in high school but I didn't understand it really. I also realized that the literature courses I took in high school were more about just discussing the basics of what happened and who the characters were versus actually analyzing the themes in the play. 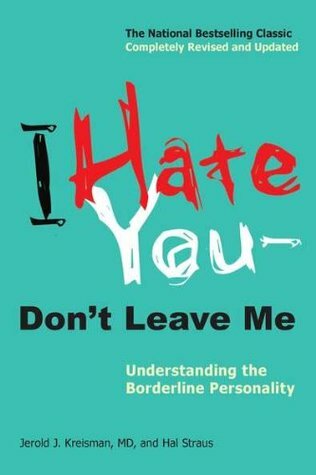 Next, I grabbed a copy of I Hate You, Don't Leave Me by Jerold J. Kreisman, MD, and Hal Straus. I'm always seeking to try and understand different mental illnesses and I'd heard that this is a book that a lot of psychologists recommend to those with borderline personality disorder and those who have friends or family with it. 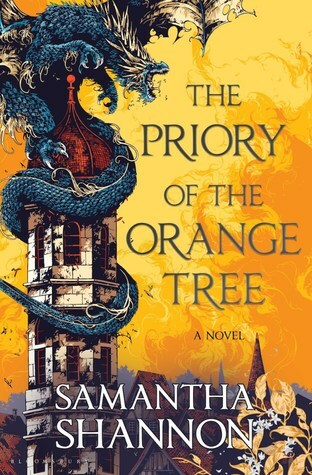 The last book I picked up in February was The Priory of the Orange Tree by Samantha Shannon, which is a book I've been super excited about since it was announced. Of course, now that it's actually here I am super intimidated by how big it is, but I'm excited to read it nonetheless. I've heard so many people raving about how good this book was and I just know that anything with fantasy and dragons is right up my alley!